15 hp single phase to three phase converter at a affordable price, output frequency 50Hz or 60Hz. 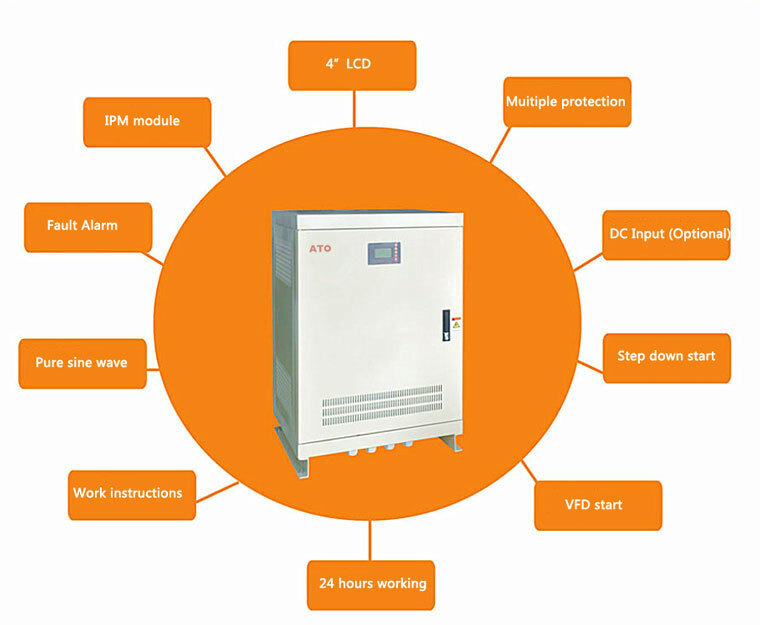 The input voltage can choose 110V, 120V, 230V, 440v or 480V, ouput voltage can choose 220V, 400V, 440V or 480V. Factory direct sales. 20 hp converter, 1 phase to 3 phase, power 15 kW, Input voltage is optional 110V, 220V, 230V, 415V, or 450V, and output voltage is optional 220V, 380V, 440V, or 480V. 50/60Hz, with the advantages of simple maintenance and long life time. Brand new and high quality 25 hp single phase to 3 phase converter, output freqency 50/60Hz, 18.5kW. Input voltage select from 110V, 120V, 220V to 480V, and output voltage choose from 220V, 380V, 440V to 480V. Free shipping and direct sales by manufacturer. Low price 15 hp (11 kW) single phase to 3 phase converter, can be used at output voltages of 220V, 380V, 400V, 415, 440 or 480V, input freqency 50/60Hz. Super cost-effective and easy to operate. Well built, does the job and I'm very satisfied. This is the best phase converter I've ever used. Nicely built. It was a decent price and I received this 10 kW converter in a week. I will likely buy more.